Your customers are sure to embrace this inspirational design. 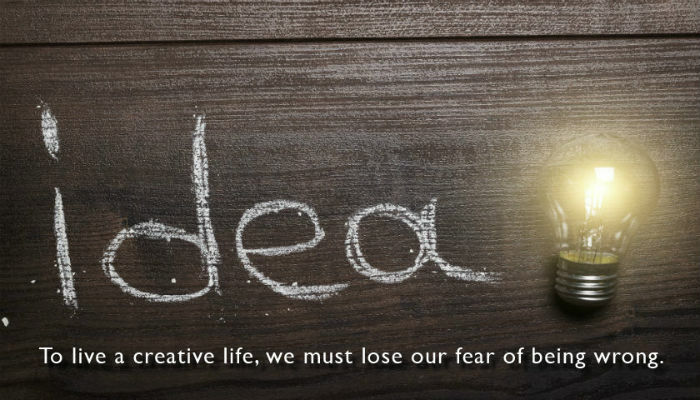 The simplicity of the light bulb sends out the message of an idea just suddenly coming to you. The light bulb is a lovely warm colour and radiates the design beautifully. The real beauty of the ecards, however is the message of how we must sometimes embrace being wrong before we can show our true creativity, isn’t that so true! The background of the corporate ecards is a lovely slate grey wood, with the word ‘idea’ wrote across in chalk. The warm grey shade of the background, with the white writing gives the card a corporate edge but in a very simple and delicate way. The card is stylish, refined and above all, inspiring to anybody receiving this, leaving your customer with a warm feeling and a knowing smile for the rest of their day. Here at eCO2 Greetings, we always aim to deliver the best customer experience, we pride ourselves on exceptional customer care. We are happy to help with whatever query you may have. Also, if you need any assistance with building your ecards or changing the design in anyway, please feel free to contact us at any time. We have a full Customer Support Team ready to help. That team is especially experienced when it comes to your all important Christmas marketing so are on hand to assist with your Christmas ecards for business.